On September 25, 2016, King Willem-Alexander, Queen Maxima, Crown Princess Amalia, Princess Alexia and Princess Ariane of The Netherlands attend the christening of Prince Carlos de Bourbon de Parme son of Prince Carlos and Princess Anne-marie de Bourbon de Parme together with his sisters Luisa and Cecilia at the Cathedral of Parma, Italy. 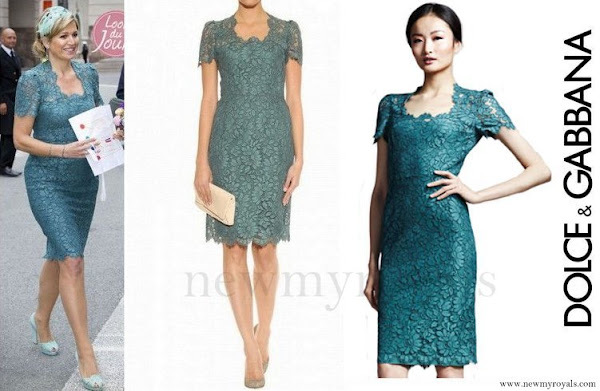 Queen Maxima wore Dolce and Gabbana Lace Dress. 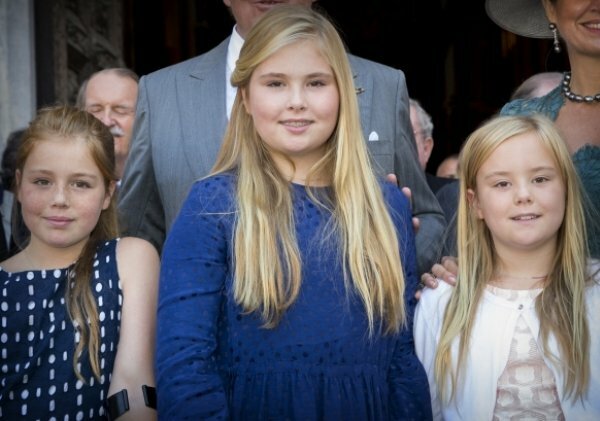 Wow, Amalia has really grown a lot. 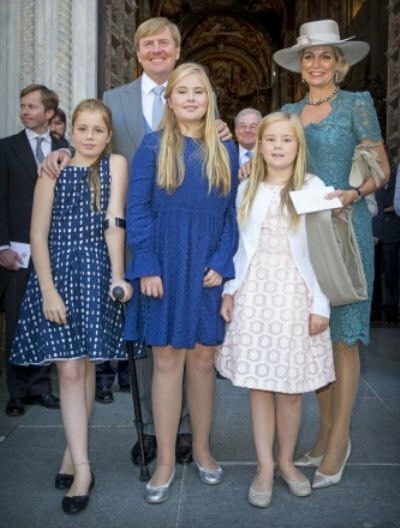 Wearing ballet flats, she is not much shorter than her mother in high heels. By the way, this ist the most lovely and elegant hat I've ever seen on Maxima. And the smokey blue pearls are just a dream. Why are there no pictures of the BOURBON de PARME FAMILY????. 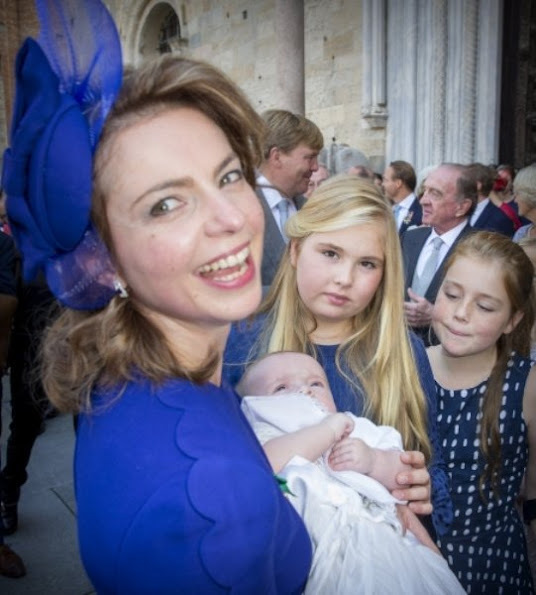 After all it is their celebration of the youngest member of the princely family,a few of princely guests, the 3 Bourbon de Parme princesses, a member of the House of Braganza (Portugal). Very dissappointed.